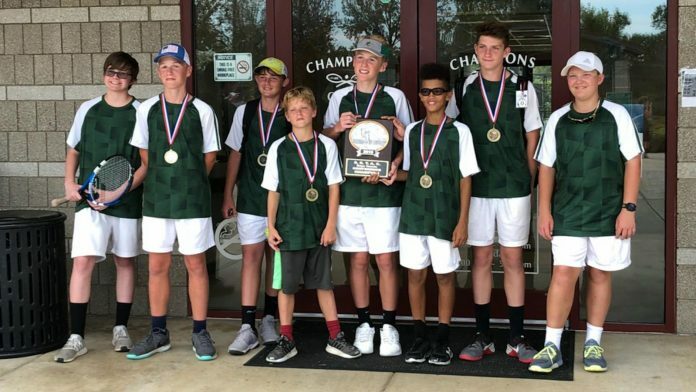 Chattanooga, TN — The Rhea Middle School Tennis Eagles won the District Tournament Championship with three wins on Monday in District Tournament. Eagles began with win over Cleveland in first round and then won over Ocoee Middle in second round to setup the championship game with McMinn. 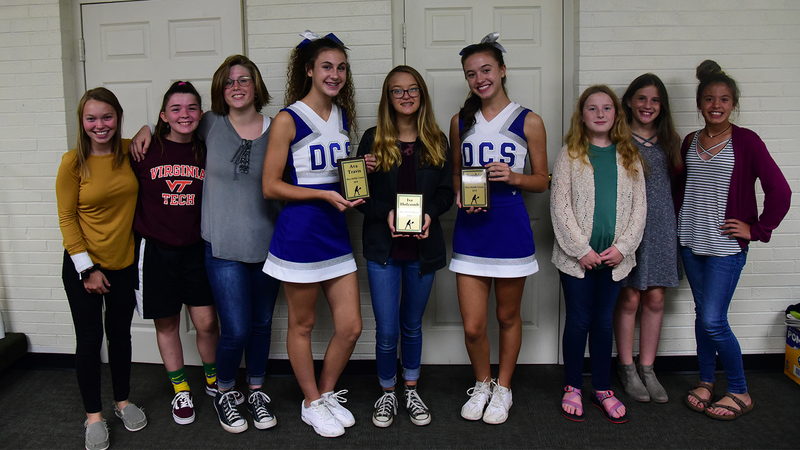 The tennis team held a end-of-year awards banquet. All Eighth grade players received plaque for recognition of their time with middle school tennis. 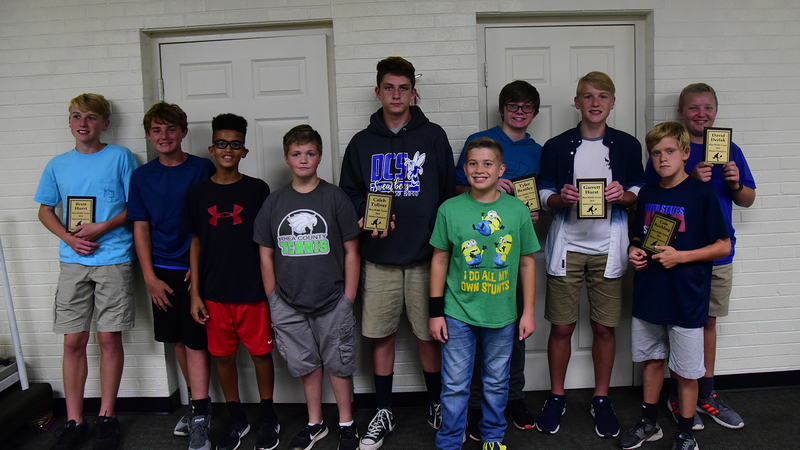 Rhea Middle School Boys team receiving plagues were Brett Hurst, Hank Logsdon, Andrew Morgan, Ben Garrison, Caleb Toliver, Jack Thedford(front), Tyler Bentley, Garrett Hurst, Caleb Toliver, Tyler Bentley, david Derlak and Cole Ruehling. 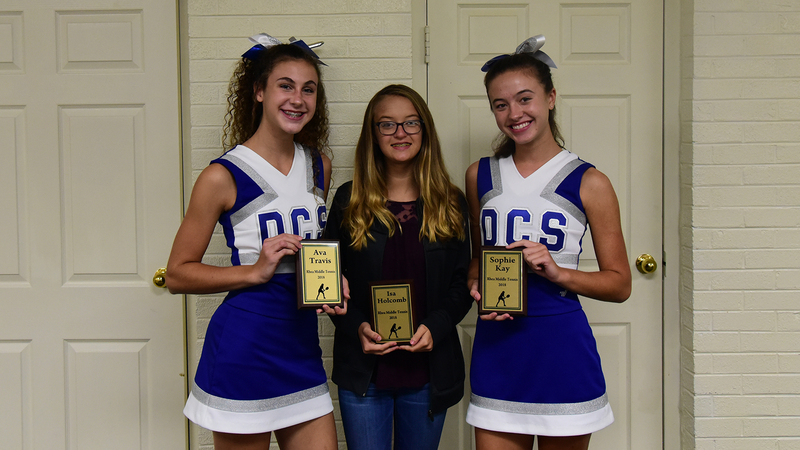 8th Grade Girls receiving plagues were Ava Travis, Isabella Holcomb and Sophie Kay. Rhea Middle School Boys Tennis Team. 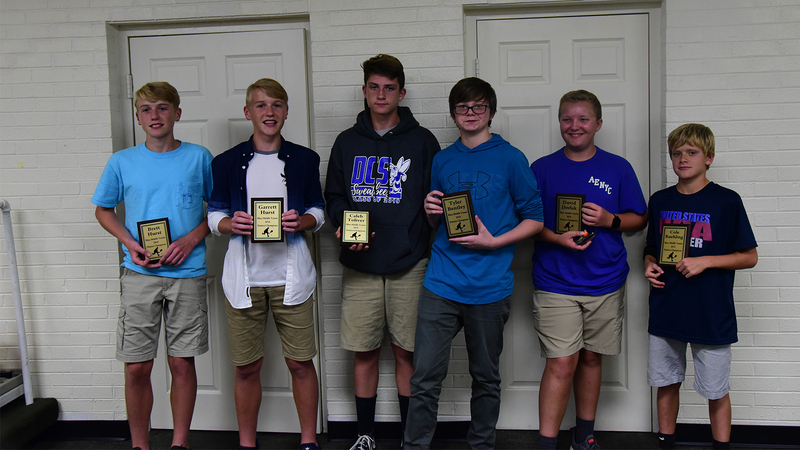 Left to Right: Brett Hurst, Hank Logsdon, Andrew Morgan, Ben Garrison, Caleb Toliver, Jack Thedford(front), Tyler Bentley, Garrett Hurst, Cole Ruehling and David Derlak. Rhea Middle School Girls Team: Left to Right: Paige Smith, Sydney Hampton, Charlotte Brock, Ava Travis, Isabella Holcomb, Sophie Kay, Chloe Smith, Meghan Brock and Marrick Ballard. 8th Grade Girls receiving plagues: Left to right: Ava Travis, Isabella Holcomb and Sophie Kay. Rhea Middle School Boys team receiving plagues: Left to Right: Brett Hurst, Hank Logsdon, Andrew Morgan, Ben Garrison, Caleb Toliver, Jack Thedford(front), Tyler Bentley, Garrett Hurst, Caleb Toliver, Tyler Bentley, david Derlak and Cole Ruehling.